Montesano: "Despite reports that the New York state government has made little to no effort to eliminate corruption, progress has been made." Photo by: NYS Press Office, via Flickr. During the opening of the 2018 Legislative Session, a quote from the popular Broadway show “Hamilton” was read, “Legacy. What is legacy? It’s planting seeds in a garden you never get to see.” It was pointed out that there is a strong possibility we in the Legislature will not be able to see all the work we put into improving New York State, and I agree, as it takes time for change to really take root and make a difference. Despite reports that the New York state government has made little to no effort to eliminate corruption, progress has been made. Last legislative session we passed a bill which stripped corrupt public officials of their pensions and benefits (A.1749). My fellow Minority Assembly Members and I have been continually pushing for a variety of laws that call for more transparency in our government. This includes proposing term limits on leadership positions in both the Assembly and Senate. I also support legislation that would close the loophole allowing large campaign contributions to be made by reserved limited liability companies, banning public officials from using campaign money to pay for legal defense, and having our election districts more independently drawn to have voter composition more accurately represented. Additionally, I believe that the government shouldn’t be paying for sexual harassment lawsuits or settlements on the behalf of the accused. If they are convicted or they come to a settlement, the accused should be responsible for payment of any fines, damages to the victims or any other costs. We have also enacted a law which requires all elected officials in the state Legislature to submit documentation regarding their outside employment to ensure that nothing conflicts with the Public Officers Law. It has been said that New York state’s election laws are some of the worst in the nation. I disagree with this, and what I believe to be the real issue is voter turnout and the apathy of the electorate. More people need to come out and vote to truly make a difference. It doesn’t help if barely a quarter of the population doesn’t turn out to exercise their right to choose their elected officials. 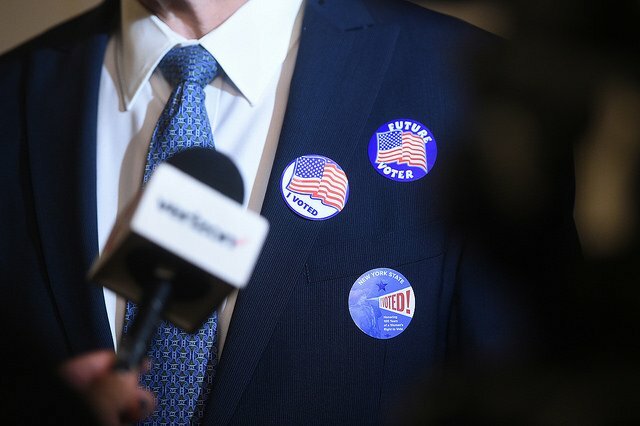 While same-day voter registration has been suggested as an idea to improve voter turnout, it could also lead to voter fraud, as it’s difficult to determine on the spot a person’s qualifications to vote in a particular district. Early voting has also been suggested as a way to get people out to vote, but if they aren’t coming out to vote on Election Day, why would they come out to vote on another day? It would also substantially increase costs to have same day registration and early voting. A person’s need to vote is a civic obligation. What it comes down to is that change doesn’t happen all at once, it happens over time gradually. Ethics reform will continue to remain a top priority for me and my colleagues this session as we continue to push for more transparency and less corruption to help improve New York as a whole. Subject: LongIsland.com - Your Name sent you Article details of "Change Takes Time: A Legislative Column by Assemblyman Michael Montesano"